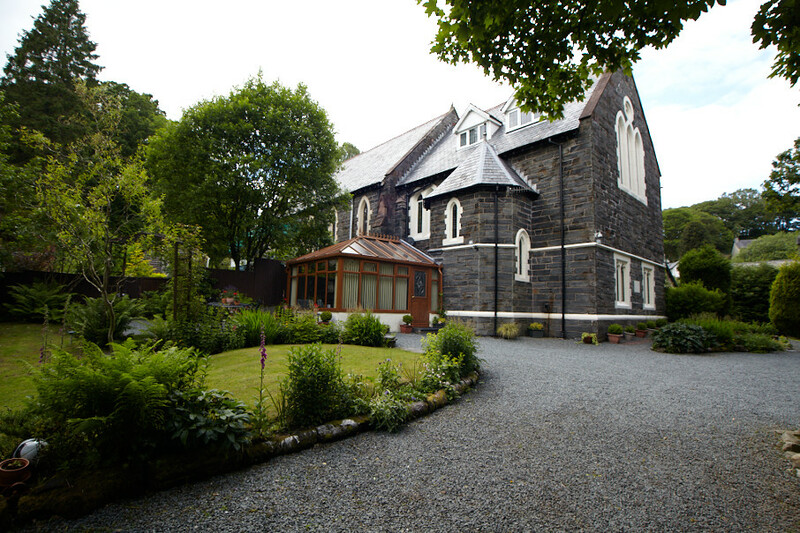 Victoria Lodge is both spacious and luxurious and lies within the heart of the Snowdonia National Park. 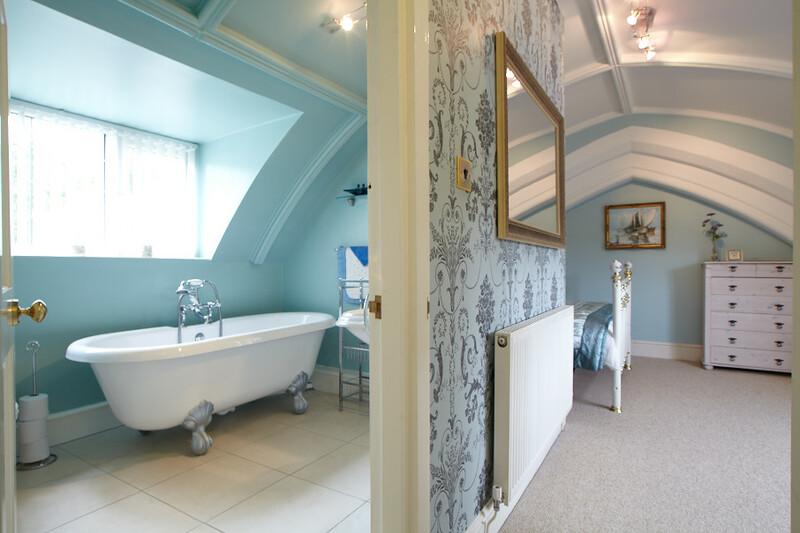 A beautifully converted church that has retained many original features and is presented with lots of thoughtful extras to make your stay a memorable one. 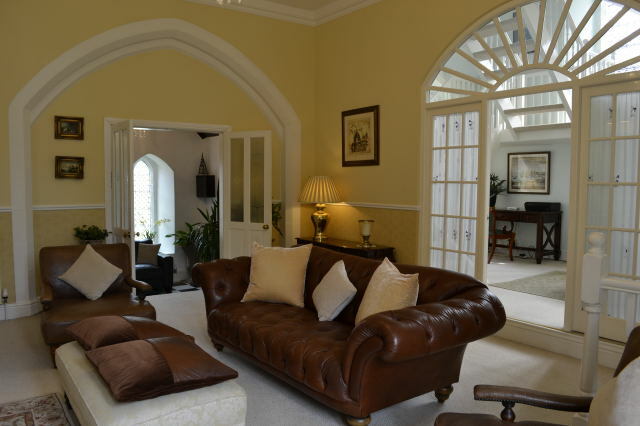 Formerly St. Elizabeth’s church which was built in 1884, Victoria Lodge has changed entirely from the original conversion with major refurbishments carried out, creating a truly wonderful luxurious home. We have retained many of the original stained glass windows, vaulted ceilings and a stone staircase. 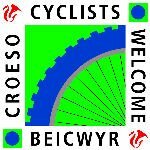 We have won several Gold Awards, hold cyclists and walkers certificates and are accredited 5 star accommodation from Visit Wales. 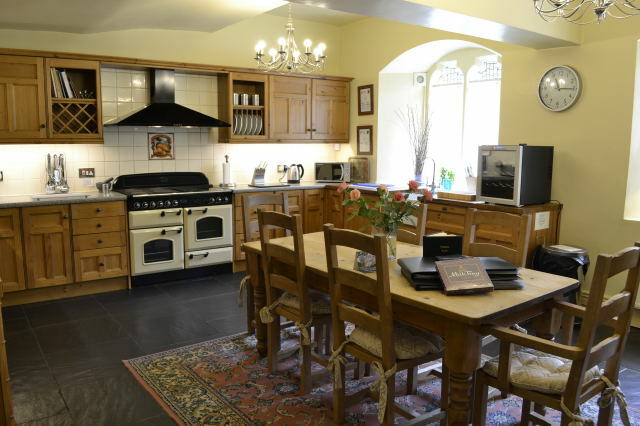 Victoria Lodge offers luxury self catering accommodation for 6 people and is set behind a gated entrance within its own grounds. Centrally located within the friendly village of Dolwyddelan close to a well stocked Spar shop, pub, hotel and train station and is ideally located for walking, mountain biking, climbing, bird watching and sightseeing. 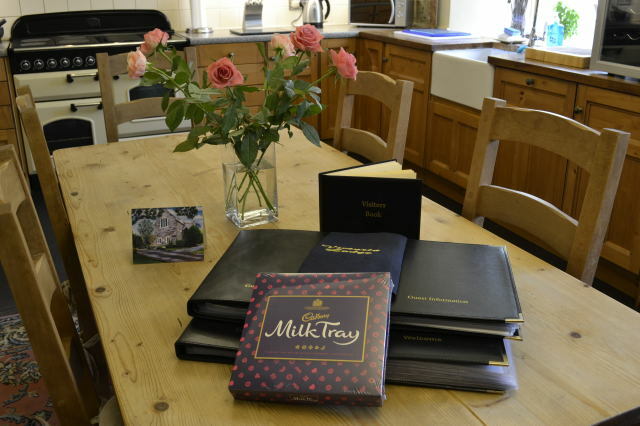 Victoria Lodge is full of charm and character and is furnished and equipped to a very high standard with regular upgrading and decorating. North Wales is fast becoming one of the best places to experience Adventure Tourism. To get your pulse racing there are high wire courses, a fantastic Zip Wire, experience underground mines (Indiana Jones style!) canoe in white water, or would you prefer jumping on giant underground trampolines. There really is so much to do, you will be spoilt for choice, and the best bit…Victoria Lodge is only a ten minute journey away from most of them. There are slate mines and caverns, castles (including Dolwyddelan) beautiful gardens, steam railways and pretty unspoilt villages, National Trust properties including Bodnant Garden, Penrhyn Castle and Plas Newydd, lovely beaches at Black Rock Sands near Porthmadog all waiting to be explored. Or alternatively just relax and enjoy the peace and quiet and stunning local scenery. Fishing is available locally on the River Lledr and horse riding and golf courses are within easy reach. 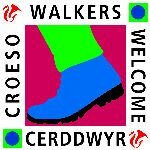 An array of shops can be found 5 miles away at Betws y coed as well as numerous hotels and restaurants. We have lots of information on the local area, with several books, folders, leaflets and our own personal recommendations for places to visit. We also send all our guests details of local pubs, restaurants and places of interest, giving you some wonderful inside knowledge of the area. 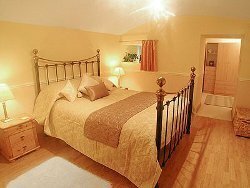 Victoria Lodge is located in a lovely setting with great views in a quiet and picturesque village. Ideal for meeting up with family and friends or simply ‘switching off’ for a few days.